Brock Youngren: Brock is also our pastor. He and his wife, Allison, have five children (Isaiah, Josiah, Makennah, Zariah & Noah). Brock attended seminary at Denver Seminary and moved to Algona in August of 2013. Brian Jones: Brian and his wife, Diane live near Britt, IA where Brian is a partner in a law firm. They have three children (Douglas (married to Kate), Joylynn (married to David), and Kaitlynn (married to Satchel)). They have two grandchildren, Kellen & Liam. David Siegrist: David and his wife, Lisa, live near Britt, IA where David is a partner in a law firm. They have seven children. Austin and Anthony are the youngest and are sophomores at Dordt College. Mike Mawdsley: Mike and his wife, Cindy live in Algona. He is a commodity broker. They have two children (Melinda (married to Ryan) and Scott) and two beautiful grandchildren, Finley & Torin. He is also a worship leader and has been an deacon too. Brent DeGroote: Brent and his wife, Beth, live in Corwith, IA. They have four children (Ethan, Eil, Easton and Emma). Brent & Beth own the Corwith Farm Service Store. Mike Hommez: Mike and his wife, Susan, live in Algona. They have two children (Rebecca and Caleb). Mike works for MaxYield Coop as a seed specialist. 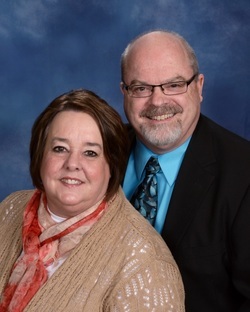 Tim Long: Tim and his wife, Janice, live near Wesley. They are both founding members of the church. Caleb Jones: Caleb and his wife, Leah, live in Whittemore. He works for Aluma Trailers. Caleb and Leah are expecting their first child in July. 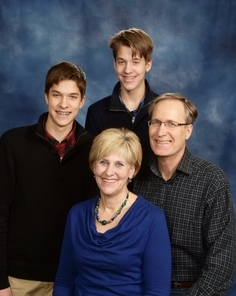 Beth DeGroote: Beth and her husband, Brent, live in Corwith, IA. They have four children (Ethan, Eli, Easton and Emma). Beth and Brent own the Corwith Farm Service Store. Cindy Mawdsley: Cindy and her husband, Mike live in Algona. Cindy works for Farm Bureau. They have two children (Melinda (married to Ryan) and Scott) and two beautiful grandchildren, Finley and Torin. Betsy Barglof: Betsy and her husband, Mark, live near Algona. They have three children (Jacob, Ryan and Rachel). Betsy is a stay at home mom. Lisa Siegrist: Lisa and her husband, Dave, Live near Britt. They have seven children. Austin and Anthony are the youngest and are sophmores at Dordt College.